Heredity has been much thought of among all peoples and in al ages. If we look at the animal kingdom we see that the lion cub is never the offspring of the snake, nor are toads hatched from pigeons' eggs; the oak tree will not produce dates nor do roses spring from thistles. We see in the East that of all breeds of horses the Arab horse is the best. One slight touch of the whip will make it leap any obstacle or cover any distance, while there are other horses that are like donkeys, on whose backs dozens of lashes are laid and they put one foot forward and stop, and again twenty lashes are given to them and they take one step forward. The Arabs value their horses so highly that they preserve the breed and never allow it to be mixed with any other strain. Among dogs there are some who will follow anyone. Whoever gives them a bone is their master, and if another person gives them meat, they leave the first and run after the other. And there are others who follow only one master, who obey only one and sometimes even sacrifice their life for him. It depends upon the breed, the heredity. In the East they have considered this subject of heredity very much and have attached great importance to it. The son of a poet will always be a poet, the son of a musician is expected to be a musician. If a man handles weapons they ask him, 'Are you the son of a soldier?' The son of a miner will never do the work of a shepherd, and the son of a shepherd will never do the work of a miner. A great many words of abuse have more to do with the parents than with the person to whom they are addressed, and a great many words of praise have to do with the ancestors, not with the person of whom they are spoken. In India, in Rajputana, there is a family of poets whose ancestors have been poets for ten or fifteen generations, and they are all of them great and wonderful poets. They are called Shighra-kavi, improvisers, and are appointed to the courts of the Maharajas. Their work is to stand up in the assembly upon any occasion, and to recite verses, in rhyme and meter, in a manner suitable to the occasion and to the people present. In ancient times, when sons of kings and great people were often driven from their country and wandered unknown in other lands, the way of recognizing them was always by some test of their quality. It has happened in the history of the world that slaves have become kings, and yet they could not keep from showing from the throne, through their grandeur, glimpses of their slavish nature. Is it the soul that transmits its qualities, or is it the mind or the body that transmits qualities? This is a vast subject. Before explaining it I will say, as to the word soul, that there are some people who call soul those qualities which compose the individuality. This is not the soul but the mind. The soul has no qualities, it is the pure consciousness and therefore it does not transmit any qualities. When the soul starts from its original point, it comes first to the world of the Firishta, the angels, and is impressed with the angelic qualities. The angels are absorbed in the hunger for beauty and the thirst for song. They do not distinguish good and bad, high and low. The infant, who represents the angel on earth, always turns to what appears to it radiant and beautiful. There are two sorts of angels, those who have never manifested as man, and those spirits who upon their way back to the infinite have reached the world of the angels. Love, light, and lyric are the attributes of the latter, and from them the soul receives these impressions. Devotion, service, and worship are the attributes of the former. The angels are masculine and feminine; the former are called Malak, the latter, Hur. In the world of the angels the soul for years and years enjoys these experiences. When the desire for more experiences urges it on, it goes forth and comes to the world of jinns, which is the astral plane. In the Bible we read that Adam was driven out of paradise; this means that the wish for more experience makes the soul leave the world of the angels and go to the astral plane and the physical plane. The occupation of the jinns is to imagine, reason, and think. The jinns are of two sorts: there are those who have never manifested physically and there are those spirits who have left the earth with all the load of their actions and experiences upon them. The jinns also are masculine and feminine, and are called Ghilman and Pari. From the first sort of jinns, those who have not manifested physically, the soul receives the impressions of imagination and thought. The soul that leaves the earth can take to the world of the angels only whatever love, good feelings, and kindness it may have. Even its love and kindness and its good feelings it cannot take higher than the world of the angels; these are still too heavy for the higher plane. For there is a higher plane, and on that plane there is no individuality, nothing but the infinite consciousness. All the rest the soul must leave in the astral plane, and until it can leave behind all the evil that it has gathered it must remain there, as it is too heavy to go higher. It is like milk that is put over the fire: when all the watery part has evaporated, the cream, the good, the essential part of the milk remains. This plane is just like a street where someone is walking with a bundle. He says to a soul, 'Will you take this bundle? ' The soul is inexperienced, and so it says, 'Yes, is it a nice bundle? Has it a good sound or a good perfume?' It takes the bundle, and receives all the impressions that go with it. Every soul possesses the best qualities. However wicked a person may be, be assured that his soul possesses the best qualities as a spiritual inheritance, though they are covered up by all that has been gathered afterwards. And there is always a possibility of spiritual progress for every soul, even for the most wicked. The soul, on its journey from the unseen to the seen world, receives impressions from the souls which are on their return journey from the seen to the unseen. In this way the soul collects the first merits and qualities. It is this which forms a line for the soul to follow, and it is this line that leads it to the parents from whom it inherits its later attributes. The soul receives the impressions of another soul if it is attuned to that other soul. For instance a soul meeting the soul of Beethoven receives the impression of Beethoven's music, and then is born with the musical qualities of Beethoven. 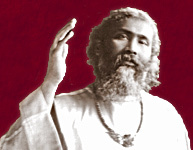 The upholders of the theory of reincarnation say that he is the reincarnation of Beethoven; the Sufi says that if they mean that Beethoven's mind is reincarnated in him, it may be so; but as the spirit comes from the unlimited, he says it need not necessarily be called reincarnation. Therefore a person of poetical gifts may be born in the family of a statesman where there never was a poet before. The soul of a saint or murshid has remained long in the world of the angels, and being more impressed by it, it brings with it the angelic qualities of that world. When the Bible speaks of 'the son of God,' and the 'son of man,' it means that he is a son of God who has recognized the eternal spirit as his parent, and that he is a son of man who has recognized himself as the son of his parents who are as limited as he. We recognize our father and mother as our origin. The parents claim the child as their own, and so delude themselves. Its origin is the universal spirit; and in this we are all brothers and sisters, without distinction of high or low, of race or caste, of creed or religion. Each soul is like a ray of the sun or of any light. Its work is to project itself, to go forth as far as it can. It is creative and responsive. It creates its means, its expression, and it is impressed by whatever comes before it, in proportion to its interest in that. The soul goes always to what appears to it beautiful and radiant, and so it goes on and on and finds different qualities and different experiences and collects them round it, until at last it finds the mother's womb. A child may or may not inherit the qualities and defects of its parents. If the impressions previously received by the soul are stronger it does not inherit them. Very wicked parents may have a very saintly child, and very good parents may have a very bad child. The mental attributes of the parents are inherited by impression on the mental plane. The thought, the feeling of the parents are inherited by the child as a quality. If the father is engaged in thinking, 'I should build an orphanage,' the child will have a philanthropic disposition. If the father is thinking, 'This person is my enemy, I should revenge myself on him,' the child will have a vindictive disposition. If the mother admires something very much, for instance flowers, the child will have that love of beauty in its nature. Also the qualities and features of the relations and of other persons of whom one of the parents thinks a great deal are impressed on the child. To explain the relation between heredity and environment, one may say that heredity is the foundations of the house, and environment is the building itself; and from this one may conclude which has the more importance. Often a child is like an uncle or aunt of the father or mother; why is this? It has two aspects: it may be either that the father or the mother has the qualities of this relation, although in them they have not fully developed, and those qualities develop in the child; or it may be that the grandmother or grandfather or other relation is so much attached to his descendants that his spirit watches and impresses with his qualities the child that is born in his family. Heredity is a matter of vibrations. There must be harmony in the number of vibrations, in the same way that color and sound are made by the harmony of vibrations. Thus a person may more like his grandfather than his father. If the grandfather has been a poet, the grandson may again be a poet if the number of the vibrations corresponds, even when the son is not one. It is true that genius is transmitted by heredity and develops at every step, but it is sometimes found that the child of a very great person happens to be most ordinary, and sometimes the child of a most worthy person proves to be most unworthy. This may be explained in the following manner: every manifestation of genius has three stages, Uruj, Kamal, and Zaval, ascent, climax, and decline. When the genius is in the ascendant it develops more and more in every generation; when it reaches its climax it surpasses all previous manifestations of genius in that family; when it is in the decline it shows gradually or suddenly the lack or loss of genius. It is thus with families, nations, and races. That which is outward is given in heritage more than that which is inward. A man may not be very like his father in looks or nature, yet he inherits his property; the State will give the property to the son. It is inherited because it is more outward. The qualities of the body are inherited more than those of the mind, because they are more outward. Every physical atom of the parents becomes radiant and its qualities are imparted to the child. In the case of the father who has liked drink, the child, of course, is born without the tendency for strong drink, but as it grows and develops, the cells of its body, being the same as those of the father's, may have the same craving for drink. And so it is with all vices; though the parents would never wish to impart them to their children, yet they do so unconsciously by their weakness and neglect. Often a man has so much concern for his posterity that he earns money and amasses it, not spending it on himself, in order that he may leave it to his children. He even gives his life on the battlefield that his children may enjoy the fruits of the victory. But if he only knew how much influence the life that he leads has on his posterity he would think it of more value to keep his life pure and elevated, both in health and mind, in order that his children may inherit the wealth of humanity, which is more precious than earthly wealth and possessions. Coming now to the question whether more qualities are inherited from the paternal side or the maternal side, I will say that the qualities inherited from the father are more deep-seated while those inherited from the mother may be more apparent, because the father's inheritance is the substance, while the mother's is the mold. The soul has many more attributes of the father because these are the fundamental, original attributes; the attributes of the mother are added to these, they are more active because they are later attributes. Those qualities which are first impressed upon the soul are stronger and those attributes which are acquired later are more active. From association with its mother, from her training, a child acquires very many of her attributes. A man may not like the qualities of his father and may hide them. A small child may have a face just like its mother's, but at some period of its life it will grow so like its father in looks that it is astonishing. A coward by association with brave people may become brave; he may go to the war, but then, when he hears the guns, the cowardice which was the original attribute of his soul will show itself. Although the father's qualities are stronger, the responsibility of the mother is far greater. It is she who molds the child. The mother's responsibility is a hundred, a thousand times greater than the father's. Therefore mystical knowledge is very necessary for women; in these times of civilization this should not be withheld from them. Control of mind is very important for women. It is the mother's fear that gives the child fear; her anger gives it anger; her contempt gives it contempt. Her bad surroundings and impressions give the child bad impressions; her good and desirable impressions give the child good and desirable impressions. It is she who molds the human race. From her are born the prophets and murshids. The credit for all good and great people is hers; but at the same time children are often born weak and defective because of her want of control and foolishness. By putting too many coals on the fire, the fire may be covered up and the flame cannot come out. Krishna is often represented with his mother Devaki, and Christ with his mother the Virgin Mary. This is woman's greatest merit and glory. In the Gayan it is said, 'The mother was the stepping-stone of Jesus to Christhood.' This means that human nature is such that man often forgets, seeing the great glory of the Master, that modest and humble help given at the time of need which enabled the Master to show forth his divine glory. The soul which was to expand as Christ was enabled to come on earth by the mother; and that is why in every case thought and consideration for the mother are important. Even Jesus Christ, the manifestation of the Almighty God, was dependent on his mother for his manifestation. A child may be very like its mother in appearance, yet the quality is the father's. For instance, if the father is very generous, and the mother is finer, the child will perhaps both be generous and finer. In this way the evolution of the world goes on by the intermingling of nations and races. Those families who keep themselves segregated in the end become weak and very stupid. For this reason the Prophet in Islam allowed all races and castes to intermarry, because the time had come for the human race to evolve in this way. When a child is different from both its mother and its father, this is partly because of its heritage from other ancestors on either side, but also because of its astral impressions. Besides every thought, speech, and action of the child builds its self from the moment of its birth upon earth. It is for this reason that there can be such a difference between father and son, while there is no difference between fleas or mosquitoes of East and West. If we inherit the attributes of our father, our mother, our grandfather and forefathers, and acquire the attributes of the jinns and angels, how can we help what our character is? A man may say, 'I have a quick temper because my father had a quick temper, I have a changeable disposition because that is in my family; I cannot help this, it is my character.' This is true in part, but it is developed by belief in it. The soul acquires and casts off attributes and qualities throughout life. A coward who joins the army through hearing always of bravery, by living with soldiers may in time feel inclined to go to the war and to fight. A joyous person from being in the society of serious people may become serious, and a sad person from being with cheerful people may become cheerful. The soul acquires only those qualities in which it is interested, it will never take on those in which it is not interested. And the soul keeps only those attributes in which it is interested, it loses those in which it is not interested. However wicked a person may be, however many undesirable attributes he may have inherited, he can throw them all off by the power of will if he does not like them. But can we change our physical body, can we change our face? We can. People become like those of whom they think much or with whom they associate. I have seen herdsmen whose faces have become very like those of the cattle and sheep with which they lived. It is our thoughts and feelings that change our appearance, and if we had control over them we should develop the appearance that we wish to develop. When one looks at pictures of Christ, of Zoroaster, of Moses and of other prophets, one will see that they resemble each other. These pictures are drawn from imagination; the painters have not seen their subjects. Are they then not lifelike? They are, for the mind is greater than the camera. There exist pictures of the murshids of the Sufi order, from Khwaja Muinuddin Chishti onwards, and these pictures of ten or twelve murshids and their mureeds are very much alike. If it were imagination, why should not imagination produce different pictures, as the nature of imagination is more to differentiate than to unite? But for those who are walking in the path of truth there is no heredity. By realizing their divine origin they free themselves from all earthly inheritance. As Christ said, 'My Father in heaven,' so they realize their origin from the spirit, and by their concentration and meditation they can create all the merits they wish for and clear away from their soul all influences which they do not like to possess.